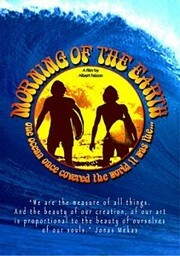 The classic surf film Morning of the Earth reveals a fantasy of three exotic lands: Bali, Hawaii and Australia, where surfers made their own houses, surfboards and lived in harmony with nature. Featuring spectacular surfing from Nat Young, Terry Fitzgerald, Gerry Lopez, Stephen Cooney, David Treloar and Micheal Peterson with stunning photography from Albert Falzon and a great original rock soundtrack that tells this mood story far better than any words. Music by Terry Hannigan, Peter Howe, Taman Shud, John J. Francis, Brian Cadd, Ticket, G. Wayne Thomas.